Rock. Disco. Pop. Soul. Jazz. Folk. Funk. The music scene of the 1970s was as varied as it was exhilarating, but the decade’s diversity of sound has never been captured in one book before now. Pick Up the Pieces gives a panoramic view of the era’s music and culture through seventy-eight essays that allow readers to dip in and out of the decade at random or immerse themselves completely in Corbett’s chronological journey. An inviting mix of skilled music criticism and cultural observation, Pick Up the Pieces is also a coming-of-age story, tracking the author’s absorption in music as he grows from age seven to seventeen. Along with entertaining personal observations and stories, Corbett includes little-known insights into musicians from Pink Floyd, Joni Mitchell, James Brown, and Fleetwood Mac to the Residents, Devo, Gal Costa, and Julius Hemphill. Carla Bley, Paul Haines, Escalator Over the Hill; Todd Rundgren, Something/Anything? 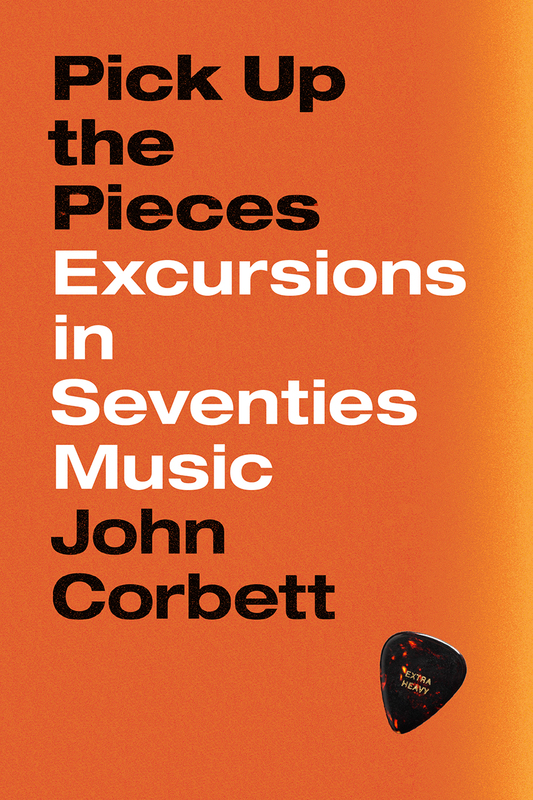 "[A] thoroughly enjoyable—and gorgeously written—joy ride down his version of 1970s memory lane. . . . music lovers are sure to enjoy Corbett’s delightful book about a fascinating, often misunderstood time of musical innovation." "Just as a rich gumbo benefits from the perfect combination of diverse ingredients, so does Corbett’s analysis and so do the 1970s songs and performances he examines. . . . Corbett is in the upper echelon of music criticism." "Pick Up the Pieces challenges us to attempt an understanding of an era’s crazy contradictions and to do so through putting on an album, preferably with friends, and letting its sounds tangle around us as we live. If only we could all describe our experiences—with music and with everything else—as perceptively as Corbett does." Lars Iyer, philosopher and author of Wittgenstein Jr. and the trilogy Spurious, Dogma, and Exodus.